This String Easter Egg Baskets is probably one of my favorite Easter crafts. 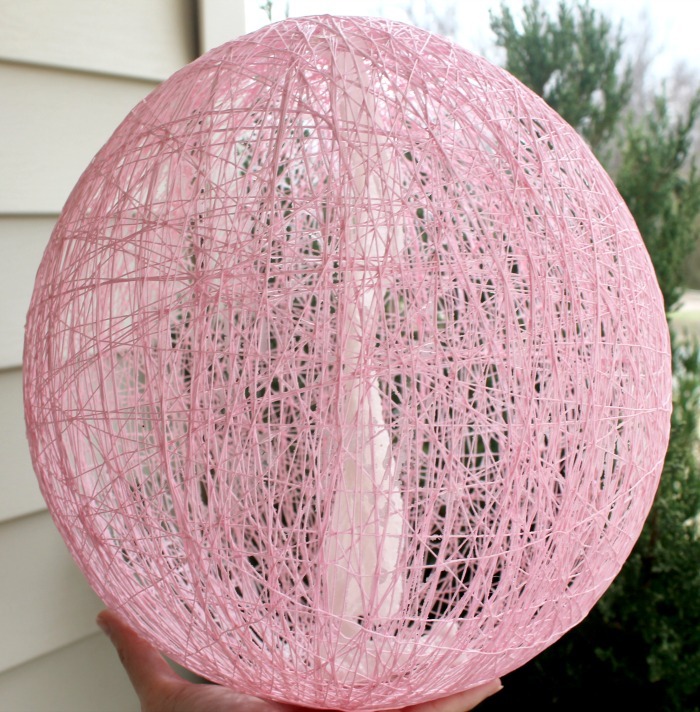 It’s super easy to make, doesn’t cost a lot of money and it’s just completely adorable. 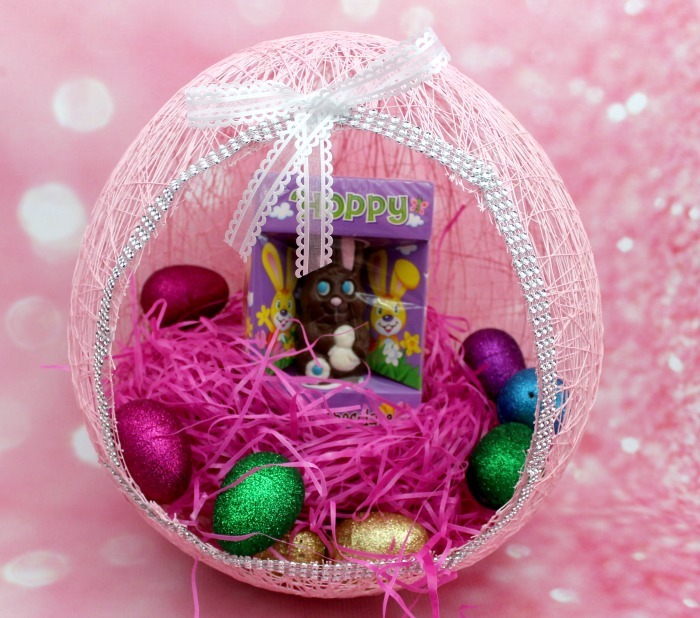 My kids love getting a yarn Easter egg basket especially one that is filled lot’s of Easter goodies. I know that this may seem like an intimidating craft, especially if you are not a big crafter like me. But this is a craft that ANYONE can do. 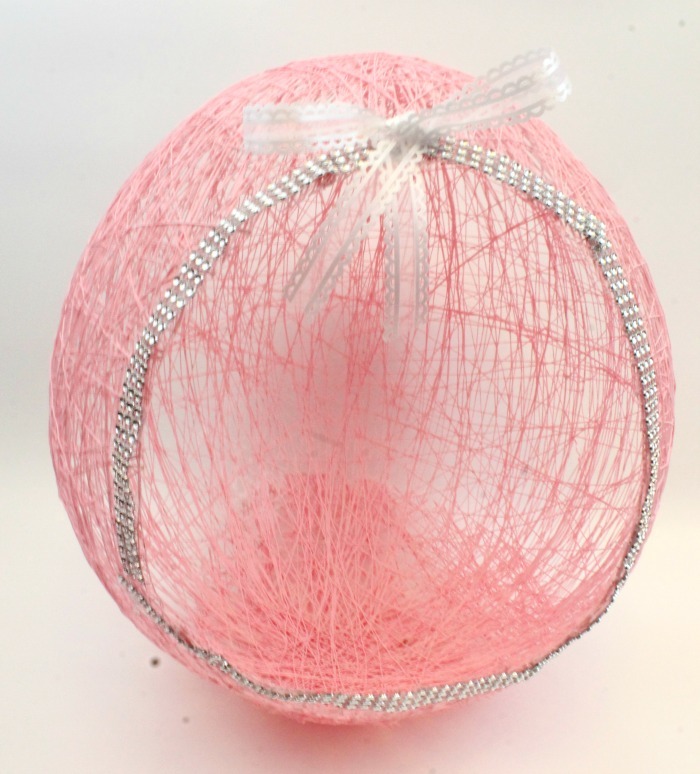 Trust me, once you make your own Easter egg yarn Balloon Basket your going to be amazed at how easy it was. 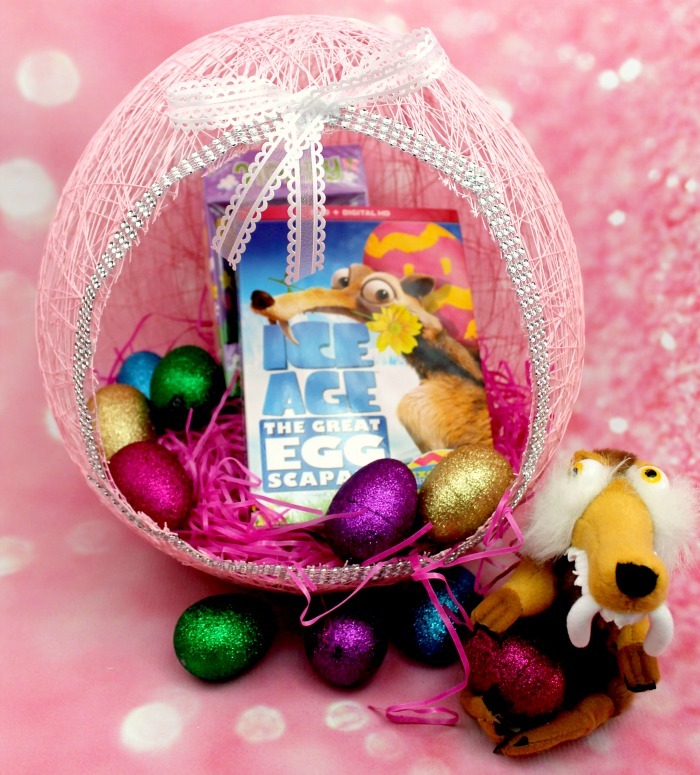 Check Out These UNIQUE Easter Basket Fillers That You Can’t Find In stores! There are only a few supplies that you’ll need for your Easter egg basket. The most important is the crochet yarn. Make sure you get CROCHET yarn because it’s a lot thinner and easier to work with. Plus I find that it hardens better. TIP: This is the kind that I find works best. If took me about 30 minutes to make my first Easter yarn egg. The most time consuming part is wrapping the yard around the ball. But once you start going it gets easier to wrap it around. 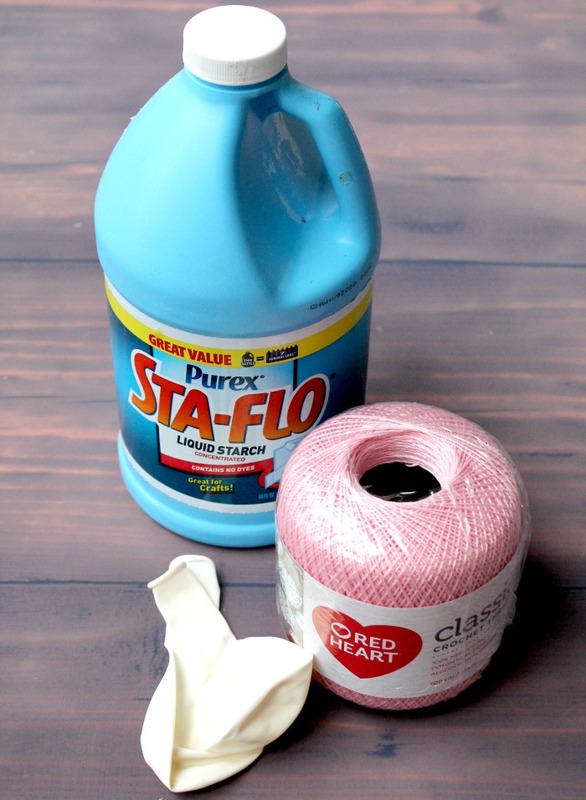 The first thing you will want to do is to put your whole roll of yarn into a small bowl of liquid starch and let it sit for a few minutes. This makes it easier to attach to the balloon and makes the yarn stiffer as you dry. Next blow up your balloon and tie it off. Now’s the fun part. 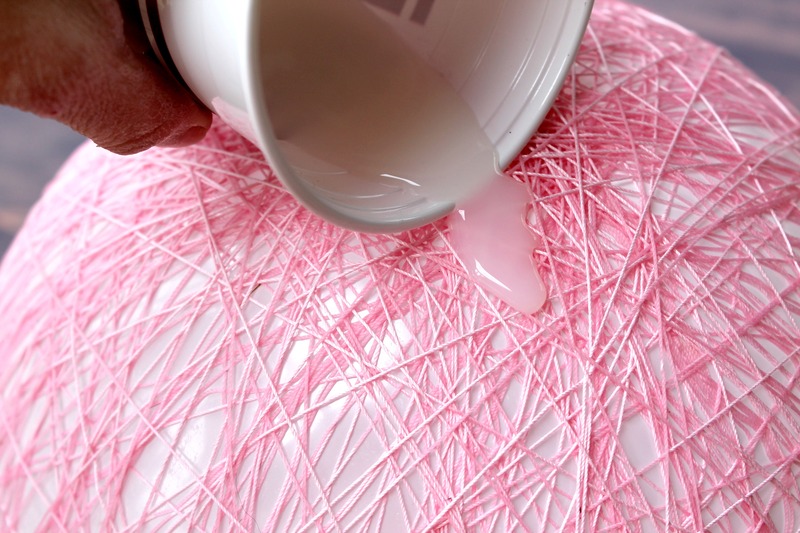 Take your yarn out of the starch and shake off any excess liquid. Hold one end of the yard and start wrapping it around the balloon. 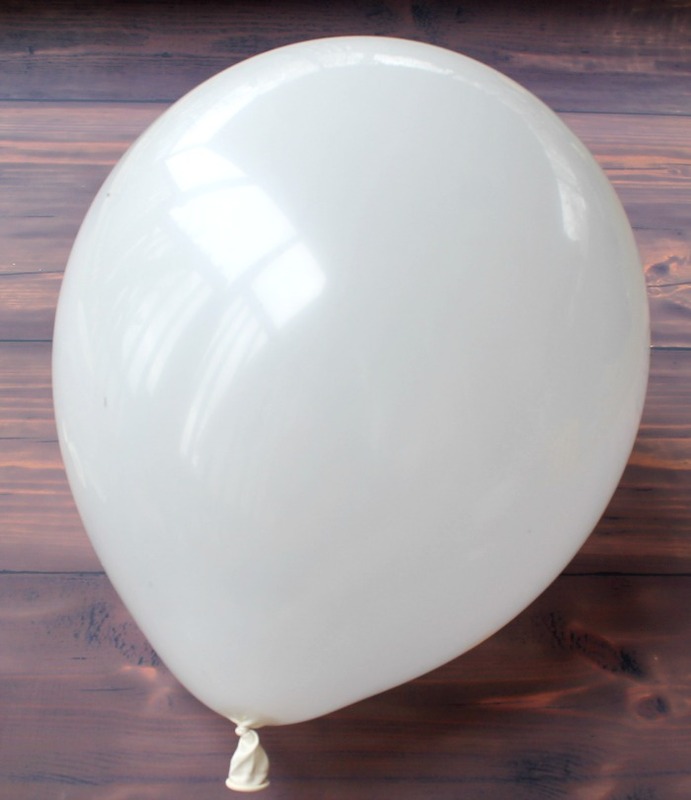 Make sure you don’t have any slack but don’t over do it with the tightness or you’ll pop your balloon. 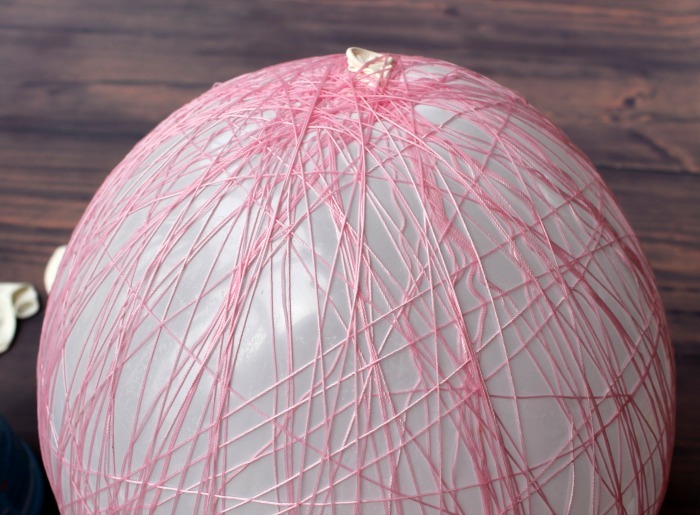 You’ll want to wrap the thread in different directions to make sure the entire balloon is covered. Once you it’s completely covered, (you will use the whole roll of yarn) cover the entire egg with liquid starch. I used my hands and made sure to really rub it on there. Again, be gentle so you don’t pop the balloon. Once the egg is completely covered in starch place it somewhere to let it air dry overnight. I let mine dry for a good 24 hours. If you find that it’s not that stiff, just apply another layer of liquid starch and let it sit again. Once your egg is completely dry and stiff, you’re going to pop the balloon inside and cut an opening in the front of the egg. You can attach pretty ribbons, beads, flowers, bows or whatever accessories you like to the front. Place some easter grass in the center of the egg and place your Easter goodies inside. 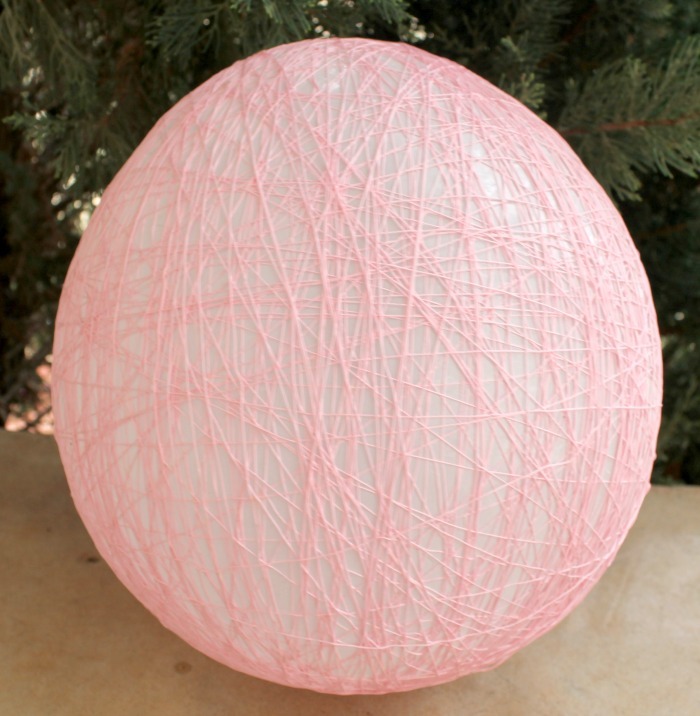 I have a lot of people ask me for ideas on what to put inside these Yarn Easter eggs. My suggestion would be candy, little trinkets and a fun movie like Ice Age Egg-scapade. This is the perfect Easter movie. 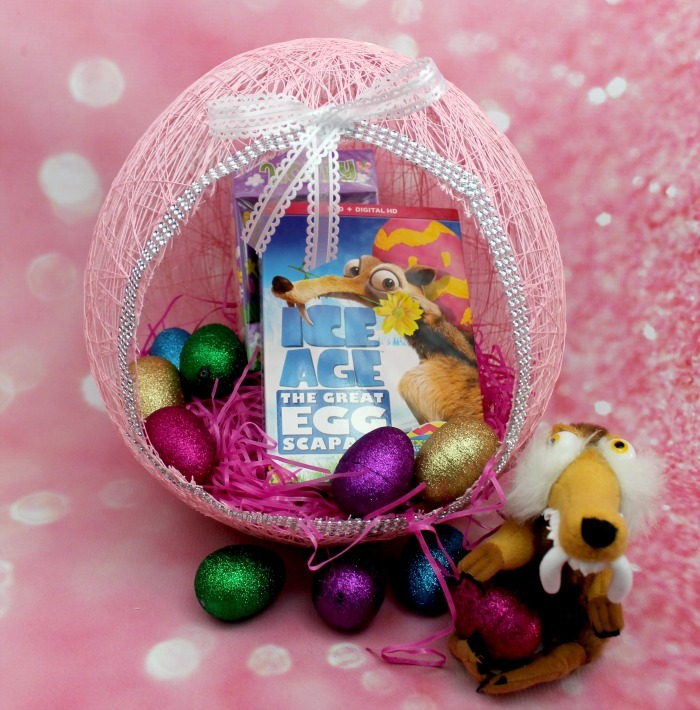 Our family loves the Ice Age movies and we look forward to making the Ice Age Egg-scapade movie apart of our Easter traditions. It’s a cute, SUPER FUNNY movie the whole family will enjoy. My friend just tried to do this, but couldn’t get the balloon to stay still. How do you accomplish this craft with just 2 hands?? ?